While times may have changed, Krakow remains a perfect blend of the old and the modern. With its fascinating history, sprawling metropolis, charming neighborhoods and world class cuisine, Krakow is truly a treasure. 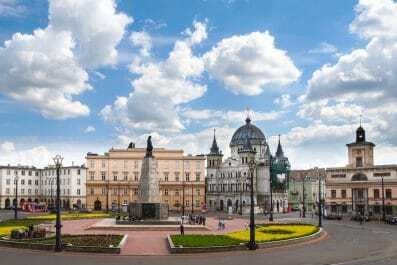 Whether this is your first trip to Poland or you’ve been here a few times before, a 3-day stay in Krakow opens up tons of new and interesting things to do. The sequence of activities and attractions below are just a guide and you can definitely change it to suit your interests. Enjoy Krakow! Language – Polish language is the official language of Poland, which is spoken by majority of the population. Younger Polish in the city, especially in Krakow and other main tourists’ spots, speak English so you can absolutely get by without speaking Polish language. Like other countries, speaking at least some Polish phrases or attempting to learn is greatly appreciated by the locals. 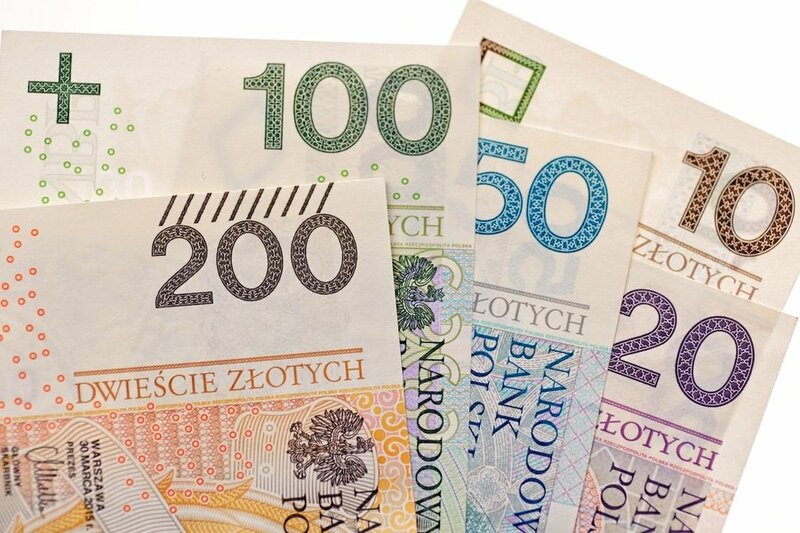 Money exchange – Poland’s official currency is called Zloty (pronounce as “ZWAH-tee”). Exchanging money in Krakow is easy and follows the same standard to elsewhere in Europe. Currency can be exchanged at the banks, as well as Bureau de Change (called Kantor) around the city and airports. Most major establishments like hotels and restaurants in major tourist and business destinations accept credit cards. The best way to get local currency is to use the ATMs (bankomat), which are widely available in Krakow and other major cities. Transportation – Getting around Krakow and the rest of Poland is fairly easy. The city is quite compact so visitors can easily explore its tourist attractions on foot. If you are short on time or you prefer less time walking, Krakow has efficient trams and bus transport networks. You can also bike on your own or join one of the guided biking tours offered in the city. Taking a taxi in Krakow is not really a good option for budget travelers. A ride for a few kilometers could cost you a small fortune especially at night when the fares go up even more. Uber (a phone app-based ride service) is a cheaper alternative. However, the drivers may not be able to take you as close to your destination due to some restrictions. 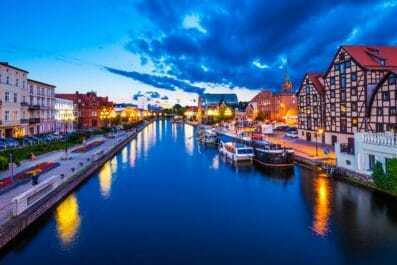 Accommodation – There are many types of holiday accommodation in Krakow, from luxury hotels to cheaper accommodation like youth hostels and bed and breakfast. There are also plenty of apartment rentals if you prefer the comfort and convenience of having your own place with cooking facilities. If you are going to follow our suggested itinerary, we recommend accommodation options available in Krakow Old Town or the old Jewish quarter in the town of Kazimierz. On your first day, take in a few of Krakow’s most famous attractions and get an introduction to its rich history. Getting to Krakow from major Polish cities like Warsaw is easy. Its excellent infrastructures and location make it a place easy to reach by various transportation options. By EIP (Express InterCity Premium) bullet-nosed high-speed trains, the average travel time between Warsaw and Krakow is approximately 2 hours and 18 minutes. Check into your chosen accommodation where you will be staying for three days. Then, set out this morning to see some of the most beautiful attractions in the city. There is no better way to get acquainted in the city than visiting the Main Square of the Old Town (Rynek Główny), one of the largest medieval squares in Poland and the whole Europe. Just like a typical European market square, Krakow main square has pastel-colored and elegant townhouses, church, town hall, shops, hotels and other important buildings. 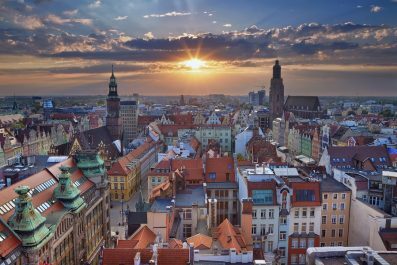 Some of the most famous attractions are the Church of the Virgin Mary (otherwise known as St. Mary’s Basilica), Rynek Underground, the 19th century Polish Art Gallery, the Cloth Hall (Sukiennice) and the Town Hall Tower. 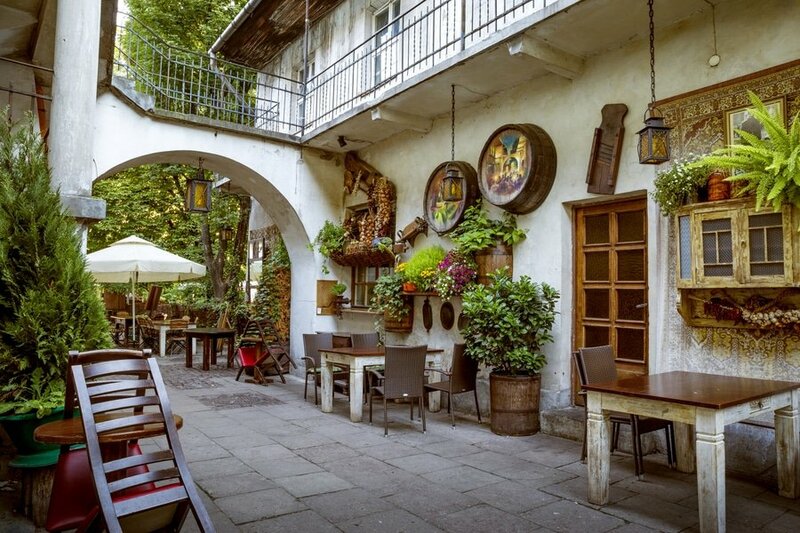 In the evening, have a light and relaxing dinner at one of the top rated restaurants in Krakow such as Wierzynek Restaurant, Restauracja Starka, Zielona Kuchnia and Przystanek Pierogarnia. On day 2, head to the Galicia Jewish Museum, one of the most well-known Jewish museums in Europe. Located in the historic Jewish district of Kazimierz, it is a great testament to the Jewish community in Krakow. Not only it presents Jewish culture and history, it also commemorates Jewish victims of the Holocaust. After being introduced to the Jewish culture, it’s time to explore the rest of Kazimierz, the historical Jewish district of Krakow. You might also be familiar with this old district because it is where Schindler’s List was filmed in 1993. Also, not to be missed is Oskar Schindler’s Enamel Factory. Oskar Schindler was a member of the Nazi but he saved Jews during the Holocaust. 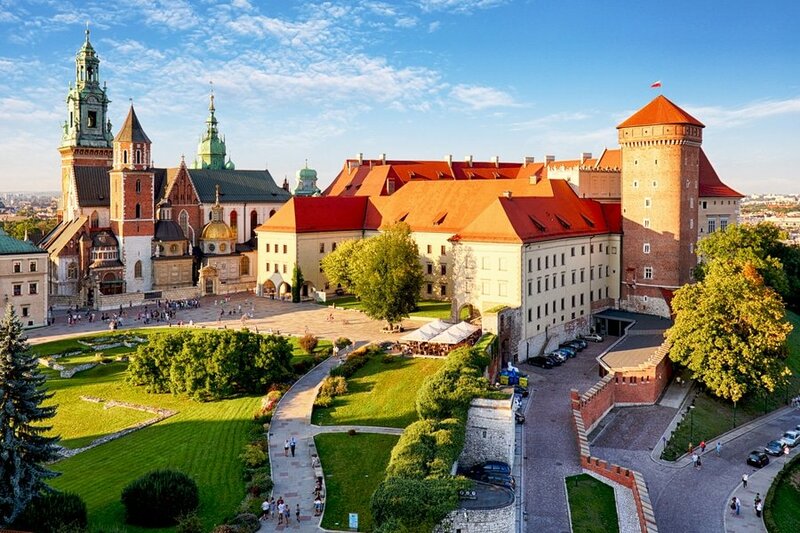 In the afternoon, visit the Wawel Royal Castle, one of the most significant architectural structures from medieval period. If time permits, you can also visit the Chopin Gallery and listen to the music from renowned composer Frederic Chopin performed by award-winning Polish musicians. 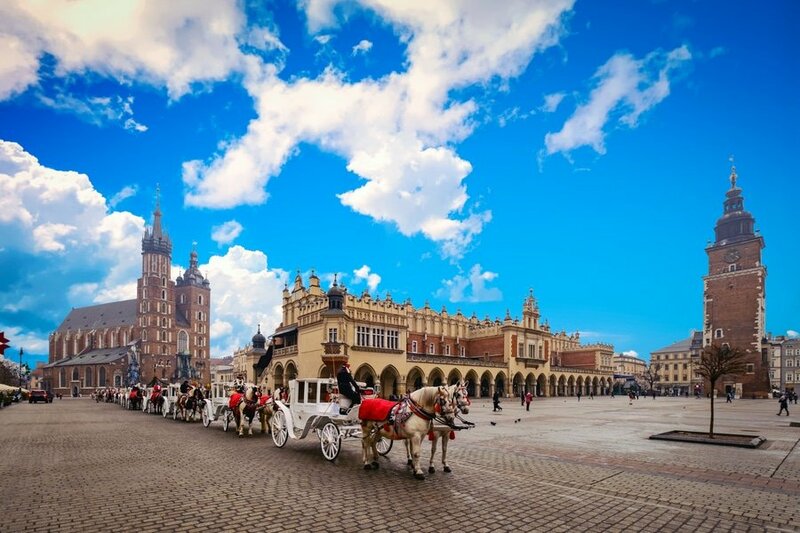 For your final day in Krakow, get a one last whirl through the Old Town to take in any museums or other attractions that you might have missed. Or you can start out early and make the most out of this day, you can do a day trip to Auschwitz. Auschwitz Birkenau is the former camp of the German NAZI and is now a symbol of the Holocaust. 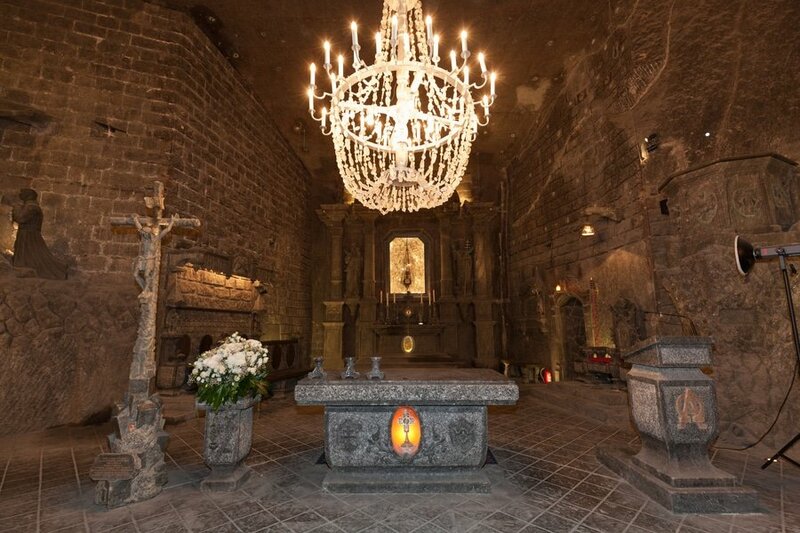 You may also do a side-trip to Wieliczka Salt Mine, a UNESCO World Heritage Site. Here, you can explore the eerie underground world and learn about hard life of the Polish miners. If time permits, you can go shopping before you travel to your next destination in Poland. For a wide range and reasonably priced locally made handicrafts, you can visit Galeria Krakowska Shopping Mall and Bonarka City Center. This is the end of our 3-day suggested itinerary. Remember, this is just a guide for planning and is in no way, shape or form, the only way to travel the city. There are several alternative routes of travel within Krakow and it will depend on your intended length of stay. Enjoy Krakow! Have you been to Krakow or anywhere else in Poland? Do you have any tips or suggestions to share? If so, you can leave your comments below.